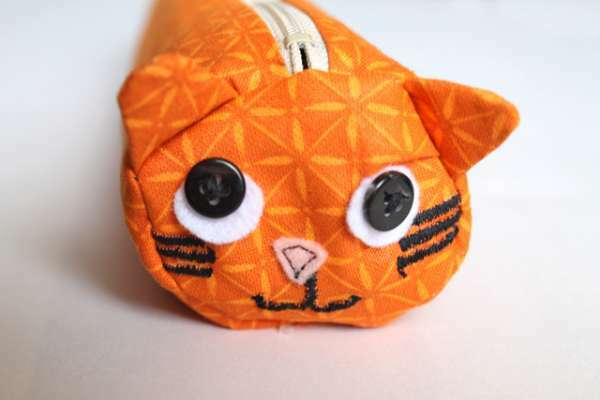 This free sewing pattern shows you how to make an adorable Cat or Kitten Pencil case. Use this little bag for makeup or School. 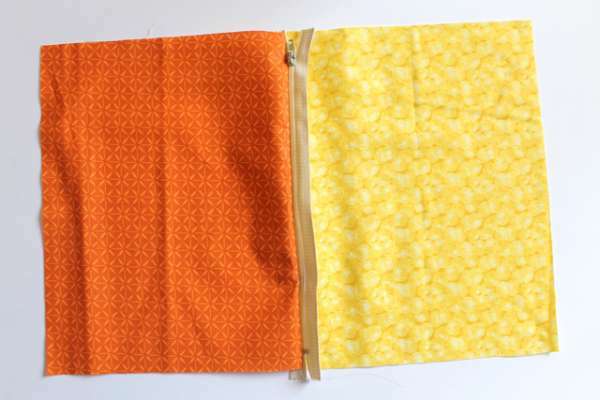 1.Cut 2 9”x8” pieces of fabric, one from the main fabric and one from the lining fabric. 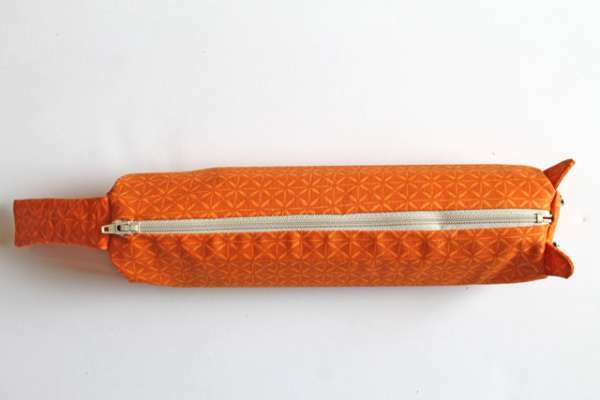 2.Lay your zipper face down onto the edge of your main fabric piece (the outside orange fabric) so that they are right sides together and the zipper should be lined up with the edge. Place your lining fabric piece on top of that, face down. You should have the zipper sandwiched between the two pieces of fabric. 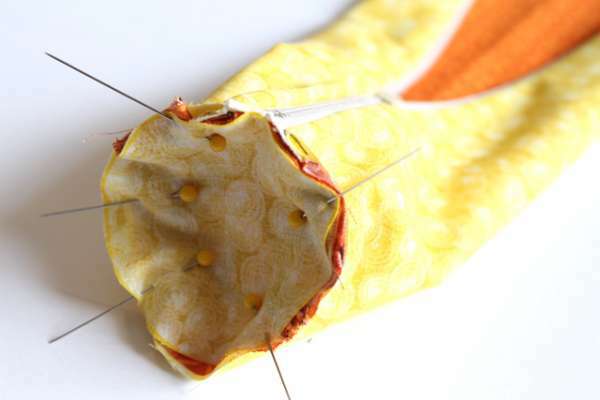 Stitch down the edge, sewing through the zipper and the 2 pieces of fabric. In the photo I have the lining folded back so the you can see the zipper sewn. 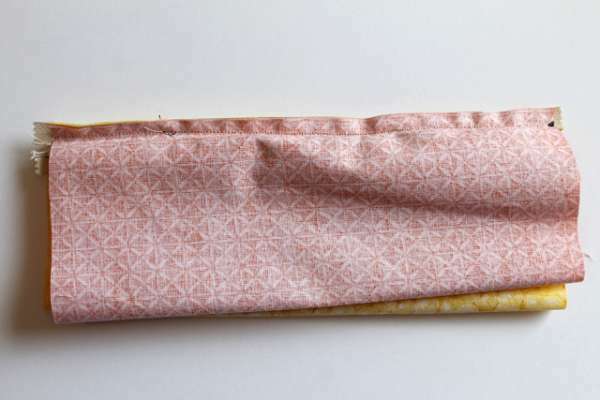 3.Fold the lining and the main fabric around to the other edge of the zipper, lining them up as before just the the opposites sides of the fabric and zipper. Stitch down the edge, sewing in the zipper. 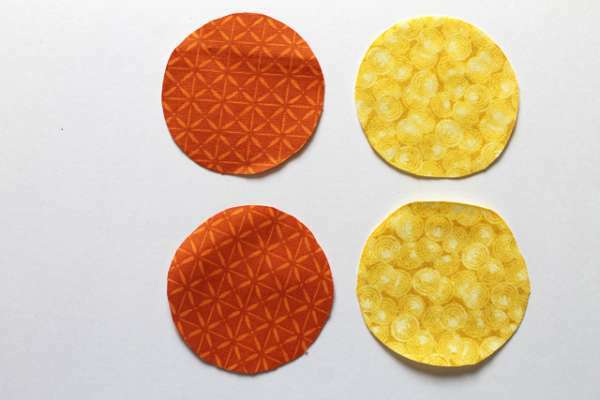 5.Cut out 4 3” circles= 2 from your main fabric and 2 from your lining fabric. 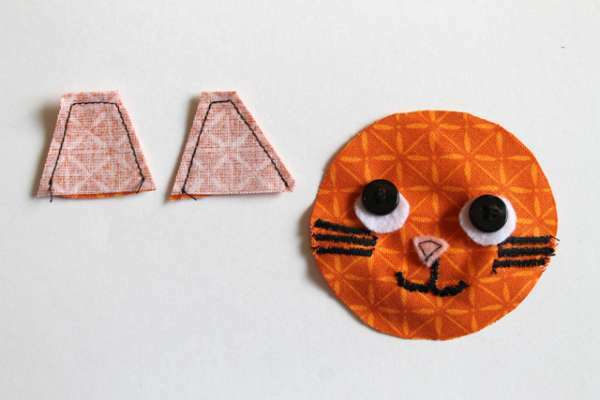 6.Stitch a face down onto one of the main fabric circles. 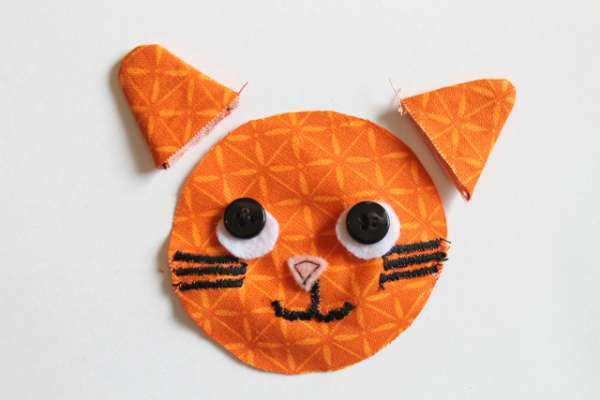 Cut out a felt nose and eyes, and stitch those down as well as stitching whiskers, mouth and buttons. 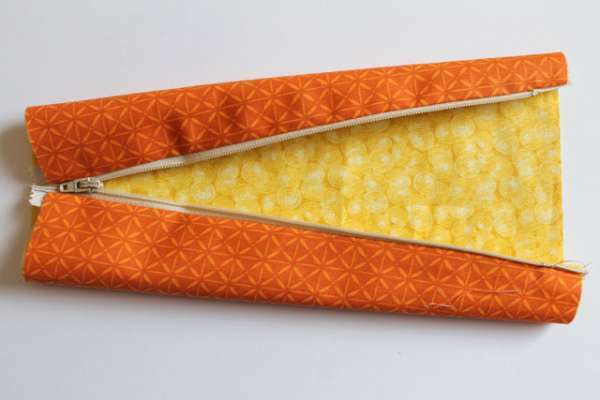 Cut out 4 1” triangles from your main fabric, Pair them up right sides together and stitch around the 2 sides leaving the bottom open. 7.Flip the ears right side out. 8.Pair up the circles, putting one lining and the main fabric circle with the face wrong sides together. Pin one of the pairs onto one end of your inside out pencil tube with the main fabric facing in towards the main fabric of the tube. Stitch around the edge of the circle. 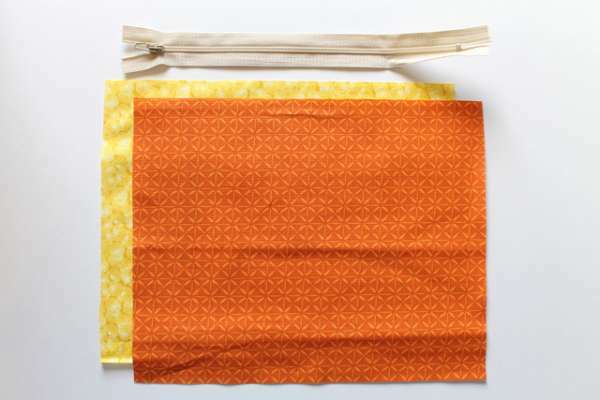 9.Cut 2 3.5”x1.5” rectangles from your main fabric, stitch around 3 sides with them right sides together. Flip right side out, this is your tail. 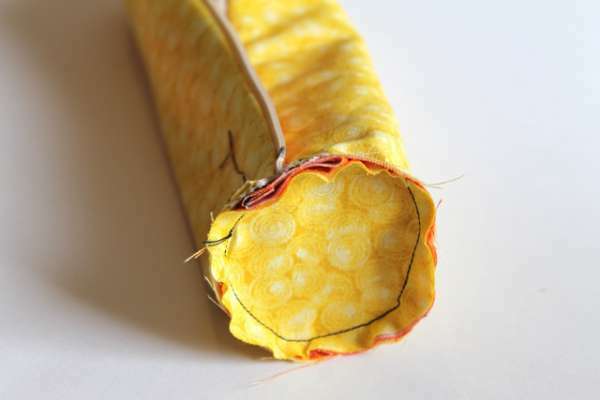 10.With zipper about halfway open, repeat with the other 2 circles and the opposite end of your tube, Placing your tail inside the tube with just open the edge hanging out of the tube. Stitch around the circle. 11.Flip right side out through the open zipper. Fill with pencils.